That’s right – the Chriatian Dior Spring-Summer 2018 Haute Couture Collection fashion show will take place on Monday, January 22 2018, at 2.30pm. Fur further details click below. Because haute couture is a dream of fashion. It’s a place where there are no limits to pushing boundaries and experimenting with technique, material and form. 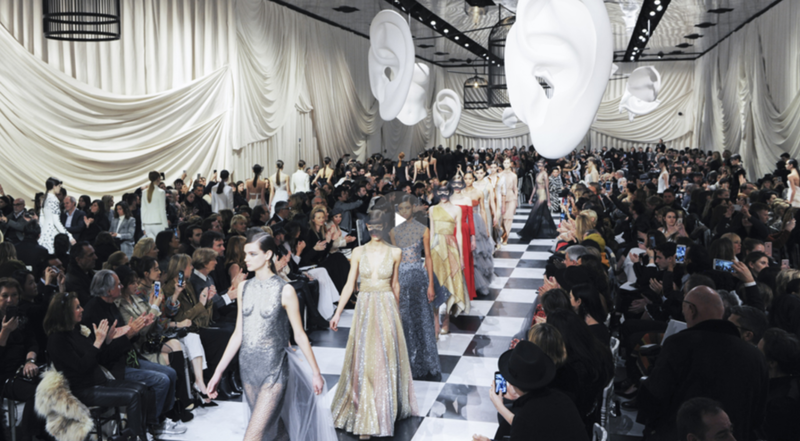 Immersing herself in the heart of the Surrealist movement made it possible to bring a fresh breath of imagination to the spring-summer 2018 haute couture collection, conjuring an otherworldliness and constant optical illusion.